Our park offer some of the best rural views that Mid Wales has to offer. From the Wye Valley to the Cambrian Mountains, we are fortunate to be situated in a truly beautiful area and are looking forward to sharing it with you. At our amenity hub you will find all the toilet and shower facilities including a walk in shower. There you will also find a kitchen with use of a fridge, micro wave, oven plus a washing machine and dryer. Also at the hub is our games room which is fully stocked with books, magazines and DVD's for use in the pods or in the hub. 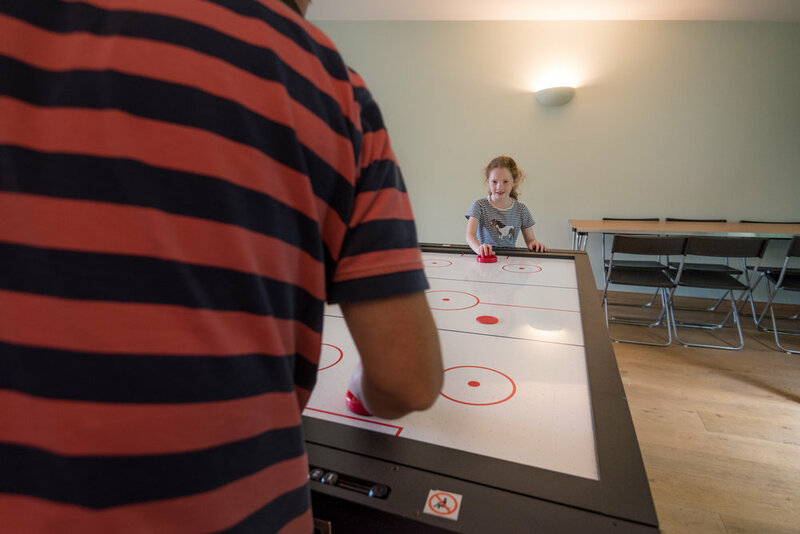 There you will also find a table football table and a multigame table with Pool, table tennis and air hockey for all family friendly competition. In and around the hub there is free Wi-Fi and a communal BBQ and seating area with a gas BBQ for all to use. 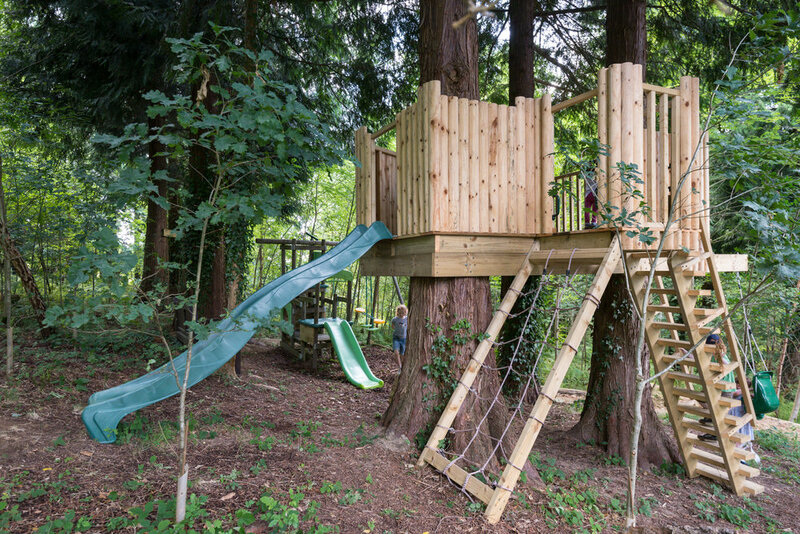 Next to the Hub and shop we have the kids play are with a climbing frame and slide for little ones and swings, slides and a tree fort for bigger kids. 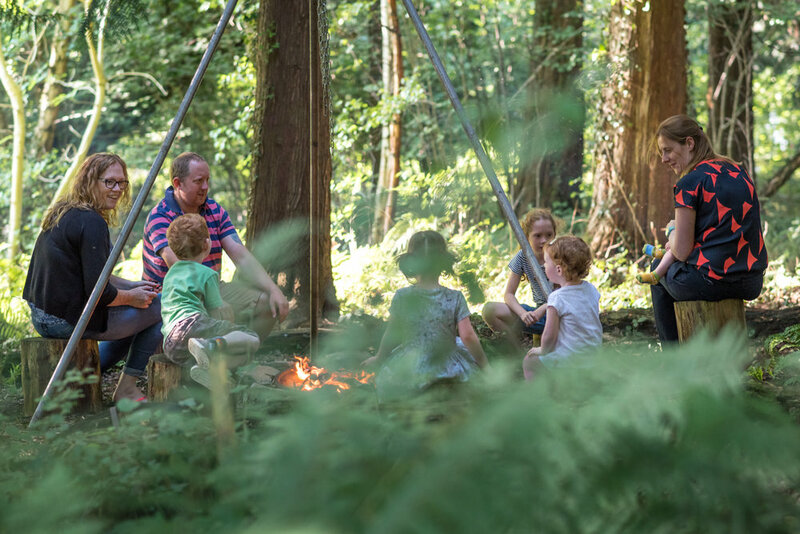 In the woodland near the glamping pods we have the camp fire where you can sit around an open fire and tell stories and toast marshmallows. If you are in the woods and don’t feel like you can make it up to the Hub we have our eco-friendly compost toilets. With LED lights and under cover these can be used in all weathers and any time of day and night. 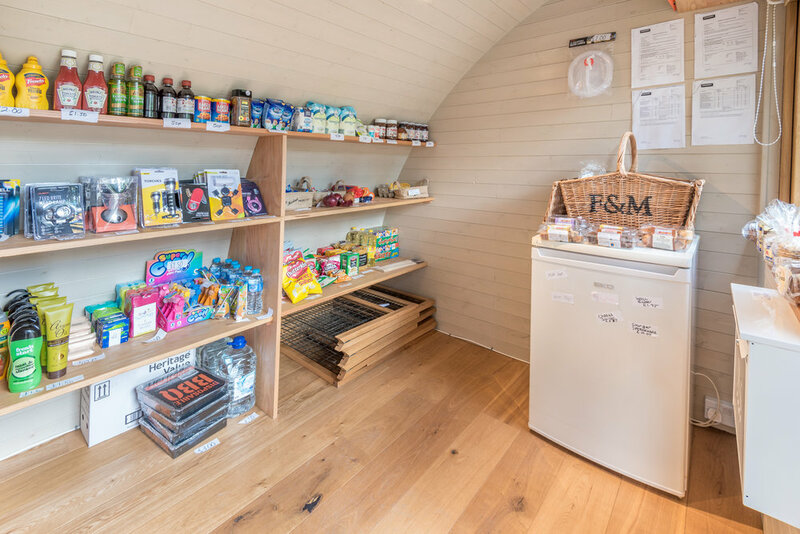 Although we are just a stones throw away from Builth Wells; complete with pubs, restaurants and a supermarket, onsite we have our own Woodland Holiday Shop to ensure that you remain fully stocked with all of the essentials you need to enjoy your stay. The holiday park is less than a mile from the nearby market town of Builth Wells.